And, just as with testosterone, sleep deprivation leads to no normal nocturnal Growth Hormone surge. Zip. Nada. It's this simple: if you deny yourself sleep, you get a drastically blunted Growth Hormone response. One set of researchers summarized that "the nocturnal Growth Hormone surge is largely sleep-dependent." That's pretty clear language for scientific researchers: if you want Growth Hormone rebuilding your body and mind, you must have lengthy, quality sleep. You might be saying, "Well, that only applies to those fools who engage in total sleep deprivation". Au contraire! One study found, as is the case with testosterone, an almost linear relationship between Growth Hormone and slow-wave sleep. This kind of deep sleep becomes progressively more difficult as we age: sometimes we just plain have to work at it. The linearity that the researchers discovered means on a practical level that the more you sleep, the more Growth Hormone you ll have and the more sleep you lose, the less Growth Hormone you ll have, all other things being equal. Optimizing Growth Hormone is often a concern of many dads who want their child to be as tall as possible, since Growth Hormone governs height for those of us with kids. Of course, height is mostly a function of heredity, but I tell them that the safest way to optimize Growth Hormone is through sleep. There is no study that I know that correlates height and sleep, but it is likely somewhat of a factor in the growth and development of your kids. By the way, did I mention that Growth Hormone even stimulates additional testosterone production? Growth Hormone creates a cascade of increasing IGF-1, FSH (Follicle Stimulating Hormone), LH (Leutinizing Hormone), which ultimately leads to increases in testosterone (and estrogen but proportionally of course). The increases may not be huge but every little bit helps! So the bottom line is that optimization and maximization of your growth hormone output requires you to just be disciplined and put your head down on that pillow. 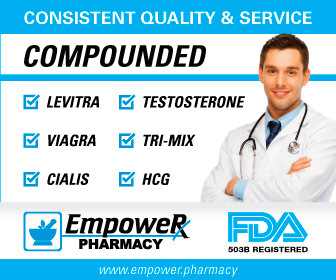 NOTE: For more information , see my links on sleep, see my pages on Sleep and Testosterone, Rebuild Your Brain Through Sleep, Sleep and Strong Erections and Natural Sleep Aids.